Fall Training Offer - Energetic Juniors - Contact Us! Fall Training Offer for Two! Right now, we are offering a special deal for fall: a 4-session program where your child can train with a friend or sibling for the same price as a private session. Sign up for this offer by September 30th . These two-person sessions are great for building confidence. 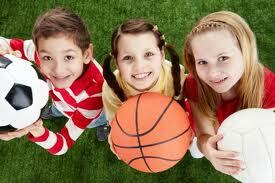 Working out with a sibling or friend helps encourage children who may be more hesitant to try it alone. Also a little healthy competition in a safe environment encourages many children to move more. Although our trainers make creative and fun individualized fitness programs, we feel it’s even more fun with another child/teen.